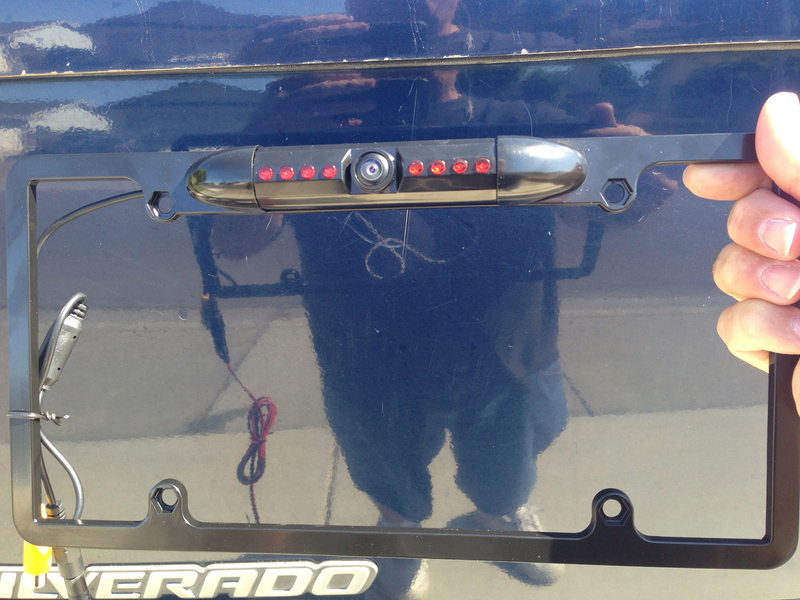 Hard-wired backup camera | 1960 Airstream Ambassador Blog! Not exactly RV related, but I thought you might find it interesting. 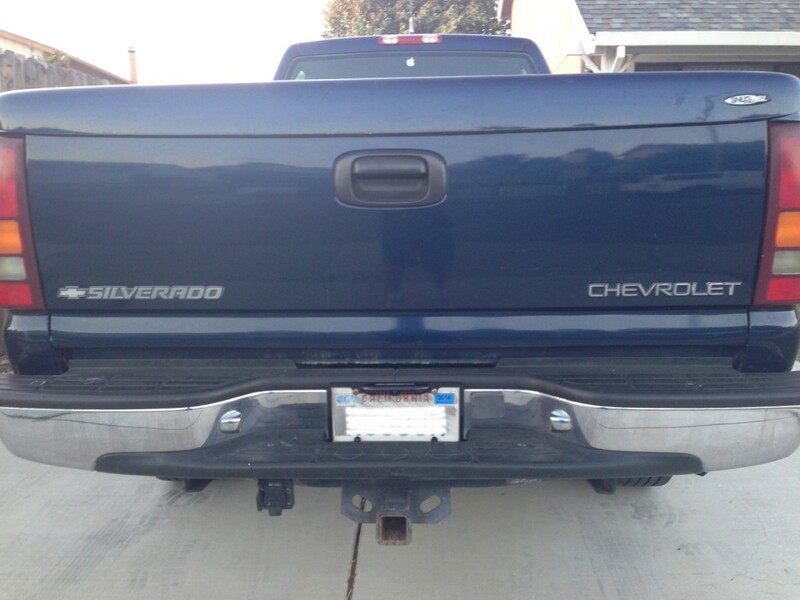 I recently installed a new radio in my truck that allows for a hardwired backup camera. A lot of new cars and trucks come with these installed, but my poor 2001 Silverado was born too early to enjoy these options. 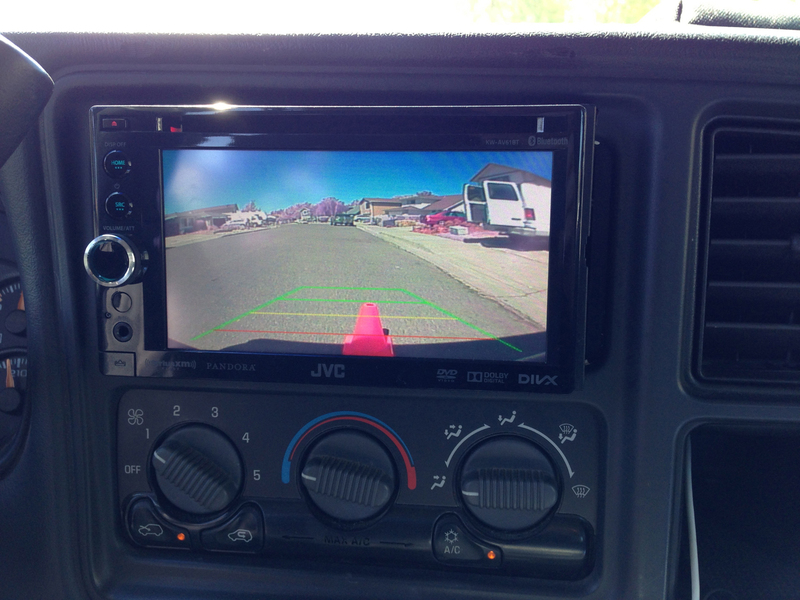 After installing the new radio, a JVC KW-AV61BT, I started my looking for an aftermarket backup camera. 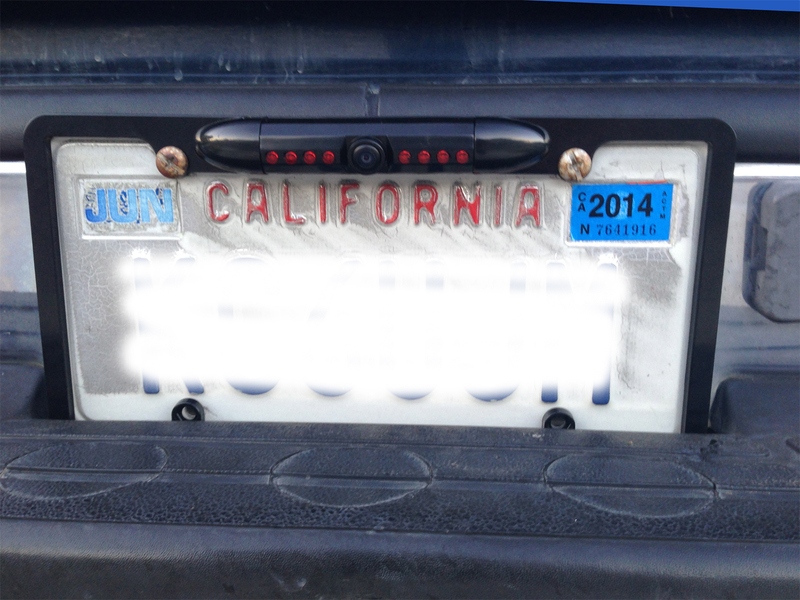 I found one that is mounted to a license plate frame. It’s pretty nice construction, all metal, infrared LED’s, and an adjustable camera angle. The kit comes with the waterproof camera, and a 20′ RCA video cable to connect to your monitor/radio. You’re supposed to power the camera from your backup lights so the camera powers up when you go into reverse. I had a slight issue with that because my radio has a button to view the camera whenever you want. So if it was only powered up via the backup lamps, that feature would not work. So I decided to power the radio with the ignition. Whenever the car is running, power is applied to the camera. So I had to run a another wire from inside the cab to the rear of the truck. There was one final wire needed. The radio uses the reverse lamp power to switch to the camera to the screen when you go into reverse automatically. So I needed to run this third wire as well. I ended up making a small wiring harness and put it inside split-loom. After crawling under the truck and securing the harness, I needed a way to get the wires inside the truck cab. I removed the trim at the door and found a good place to drill a hole for the wires. I secured them with a rubber grommet. The wiring to the radio was straight forward. I just needed to hookup the video-in from the camera and the rear-trigger from the backup lights. Finished with wiring the power to the ignition via small in-line fuse. Here are a couple of photos of the camera mounted. Here is how the the radio looks with the camera view. The camera puts the red, yellow, green line overlays. You can adjust the camera angle up or down to get the red line adjusted to your preference. I actually lowered it a little more after this photo. I like to see the bumper in the view. 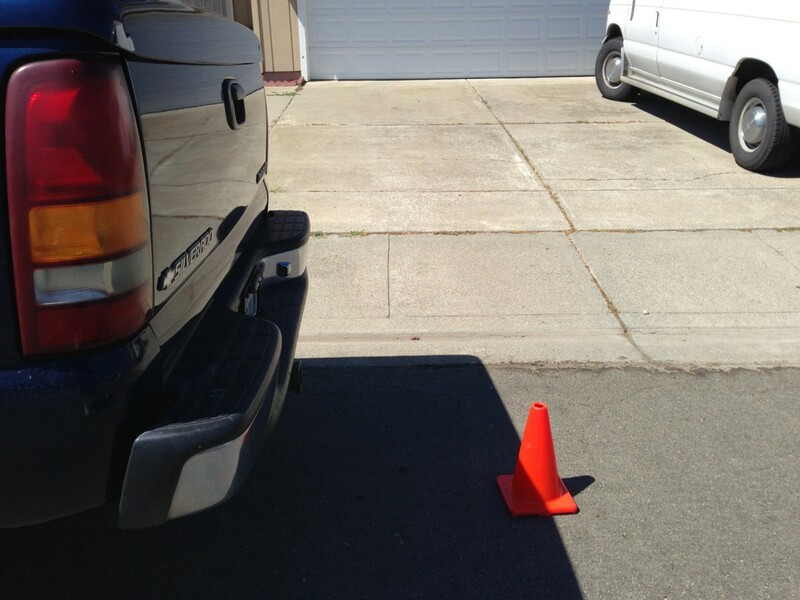 This is a side view of the cone placement so you can get an idea of the distance. I like the way it turned out. The radio switches to the camera input automatically when I go into reverse. I can also select the camera input on the radio while driving, which is a very strange view to watch while your in motion (only viewing as a passenger of course!). There is one issue that you may have noticed. The colors are off, way off on the camera. The trees in the far background in the photo above are pink instead of green! I didn’t order the “Rose-colored glasses version”. I’ve already filed for an exchange. Luckily the swap out will be a lot easier than the initial install! 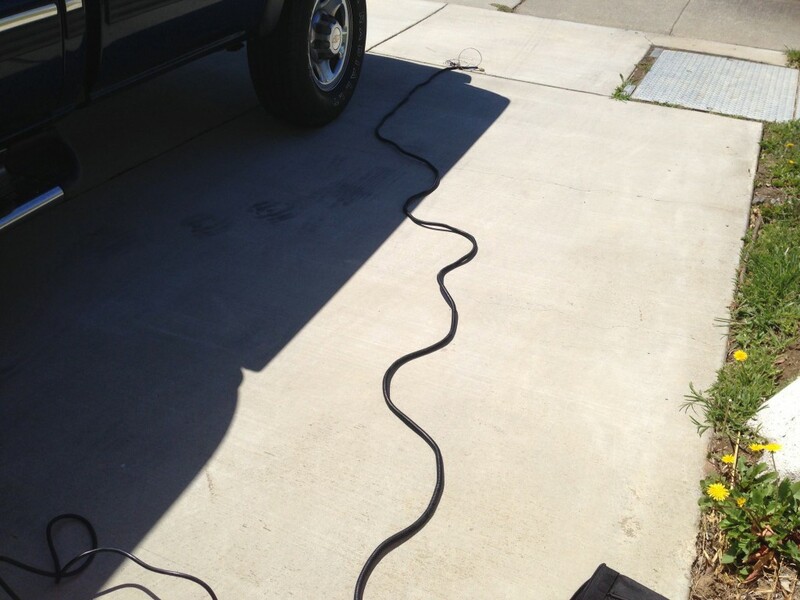 I can’t wait to see how this will help when hitching the trailer… There’s your RV connection! 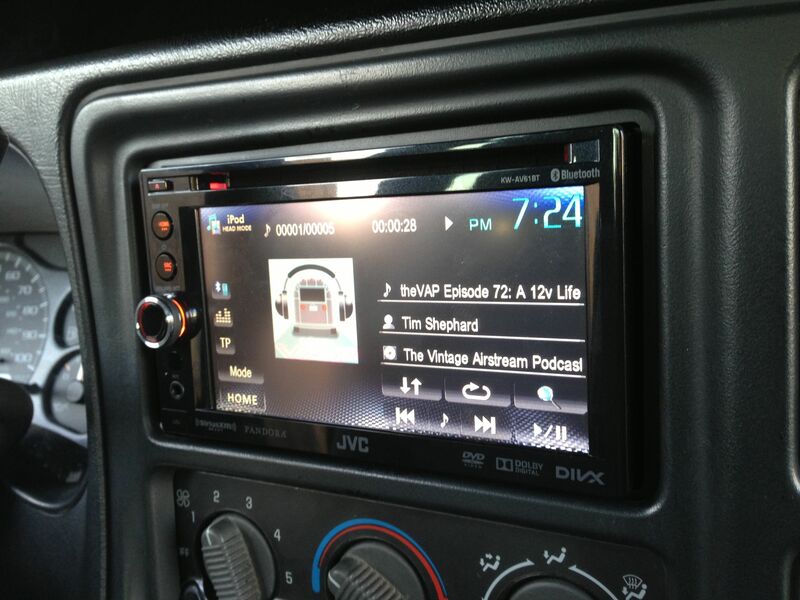 As I mentioned on Episode 190, I wasn’t happy with the initial look of modifying the original dash. 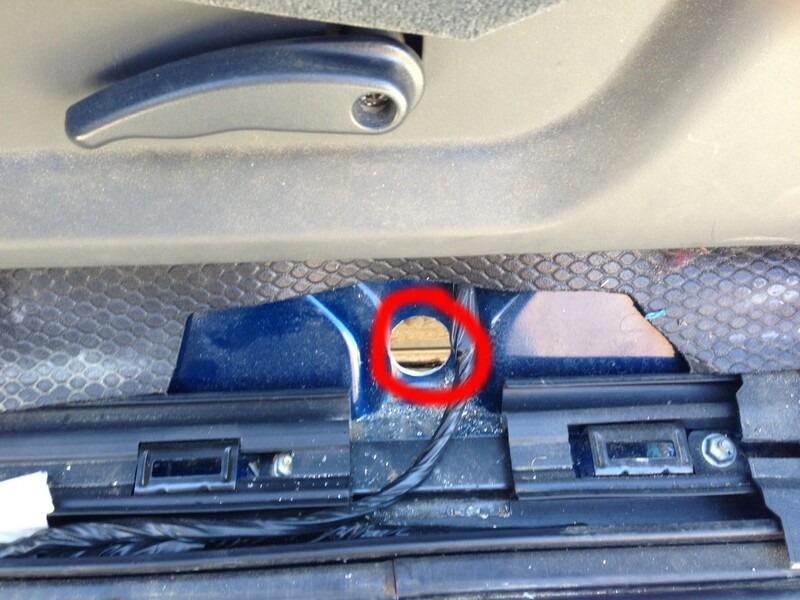 I was able to locate a 2005 dash bezel with the proper opening as well as the radio bracket from the 2005. Results are much nicer! This entry was posted in on July 27, 2013 by Tim.